Convenient storage for library users! 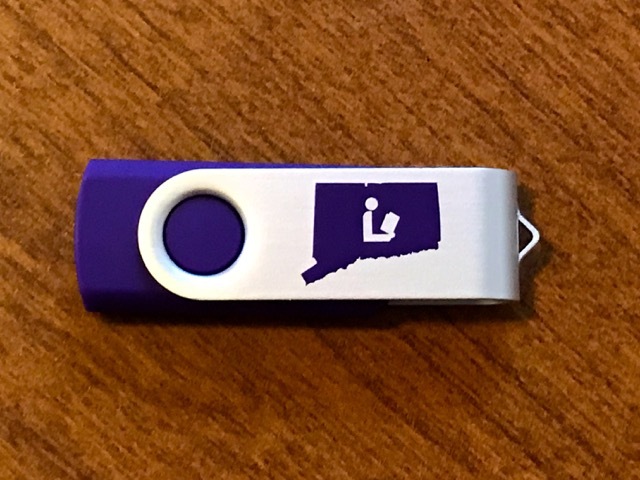 Flash Drives - CLC offers 4GB USB flash drives to our member libraries at a discounted rate. 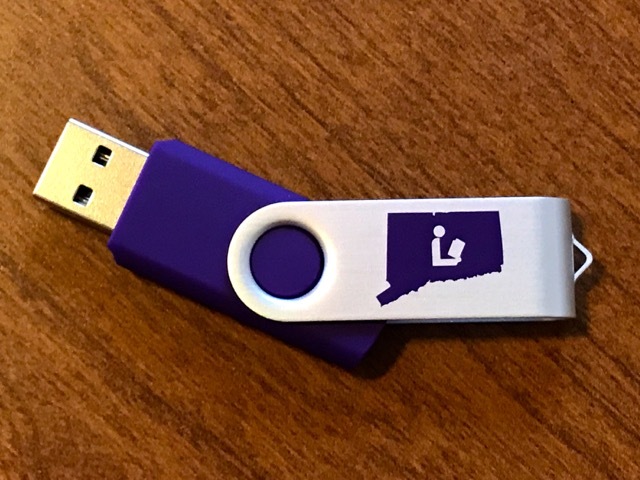 Libraries can purchase these flash drives and resell them to patrons and students who are in need of a storage device, all at a modest price. Functional "flip" design prevents damage. 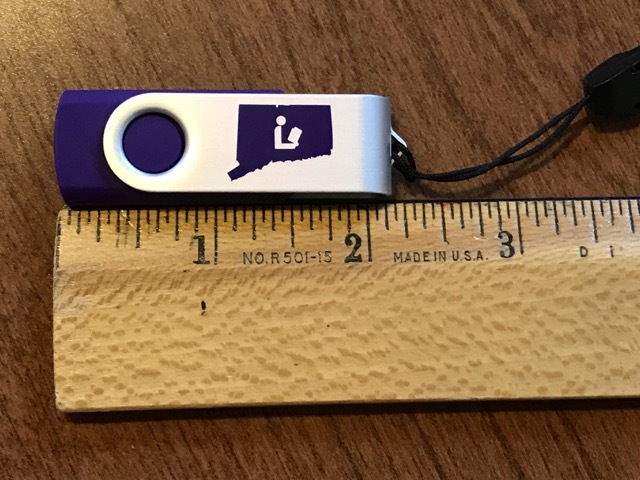 Emblazoned with the universal library logo over the over the map of Connecticut, so patrons will know that this is a great service provided to them by Connecticut libraries. Units are packaged in individual cardboard boxes. 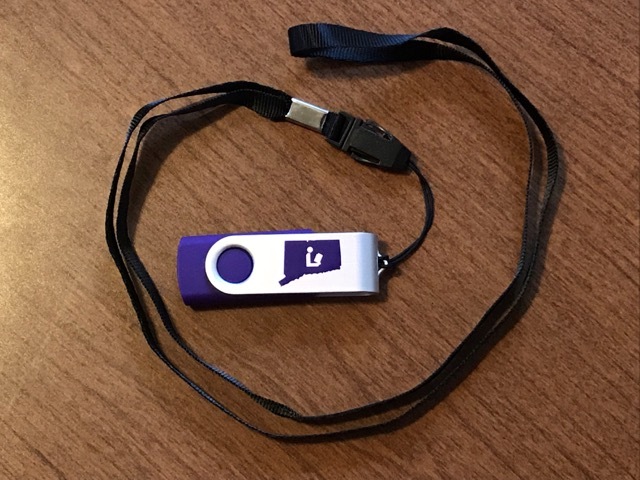 Each box contacts a flashdrive and unattached lanyard. Price does not include shipping. Drives may be picked up at the CLC office in Middletown, or we will ship via USPS and charge postage to your library. Postage will be actual price paid - no markups or handling charges. Orders/Questions: Contact CLC at accounting@ctlibrarians.org or 860-344-8777 x101.